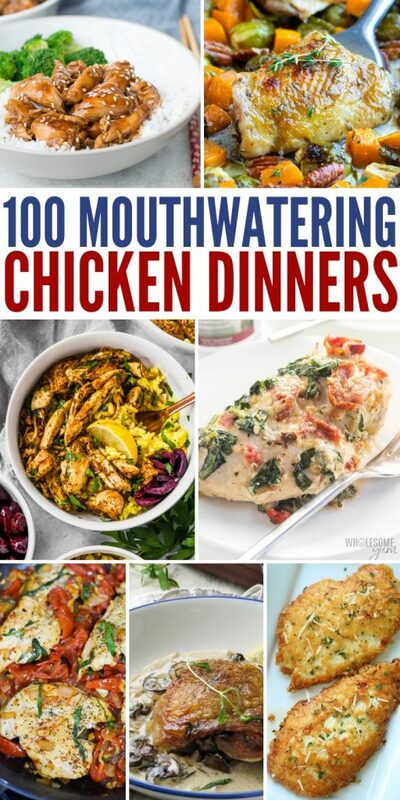 You won’t believe all of the delicious, savory and sweet recipes in this compilation of 100 chicken dinner ideas I have made for you! What I love about cooking with chicken is that there are so many possibilities that you can do. When I was a little girl, I remember eating a lot of chicken because it was inexpensive and you could make some fantastic meals without tons of prep work. As a mom, I continue to make chicken recipes at least two or three times a week. Another thing I love about cooking with chicken is that most meals are reasonably fast and simple to make. Whether you are looking for air fryer, Instant Pot, slow cooker, oven baked, skillet meals or casseroles, you will find exactly what you are looking for. I am confident you are going to see several new recipes that you will want to add to your regular menu. These chicken dinner recipes are what you need in your life. 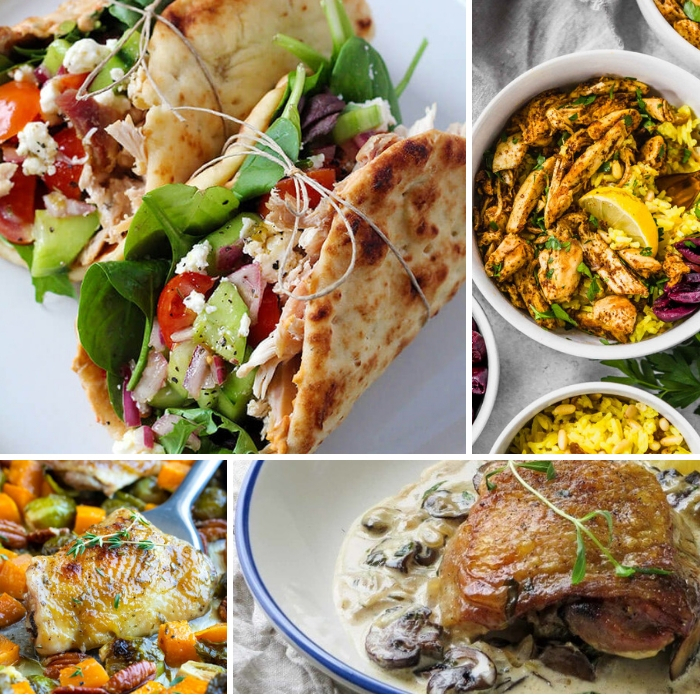 I have to warn you that if you look over this list of chicken dinner ideas when you are hungry, then you are going to be salivating by the end! 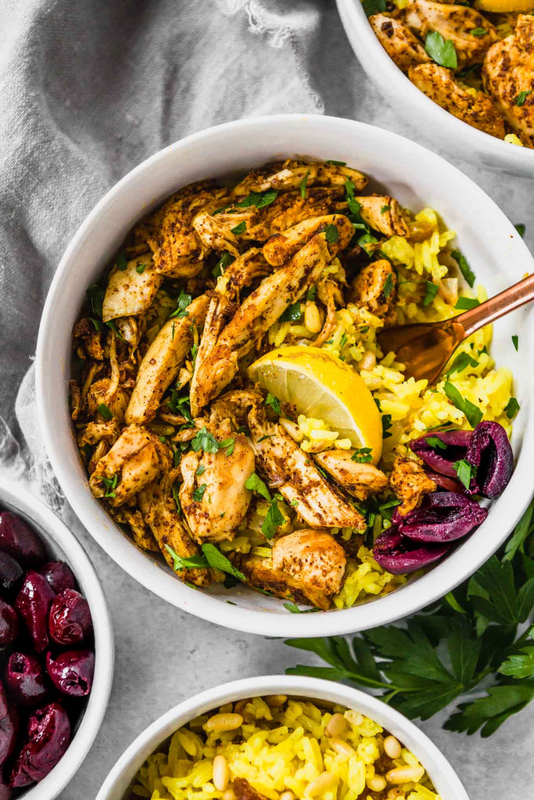 Time to break out all your cooking devices, pans, and spoons because it is time to start creating drool-worthy chicken meals. Winner Winner Chicken Dinner! Instant Pot jerk chicken is golden brown, tender and you will want to devour every single bite. Serve over some white rice to make even more filling. You don’t have to be sick to enjoy a nice hot bowl of Instant Pot chicken noodle soup. It is perfectly tasty any time of year. Warm up on a cold day with a nice big bowl of Instant Pot creamy chicken rice soup. Rich, bold flavors that have never tasted so good together. Instant Pot chicken tacos are so simple to make, and you only need four ingredients. Add your favorite toppings like sour cream, avocado, and salsa. Your family and friends will think you slaved all day in the kitchen when you serve this quick tomato basil chicken in the Instant Pot. Jasmine rice goes nicely with this chicken dinner. Anyone who is a fan of garlic should definitely try this Instant Pot honey garlic chicken. The chicken is sweet, delicate and full of tasty flavors. 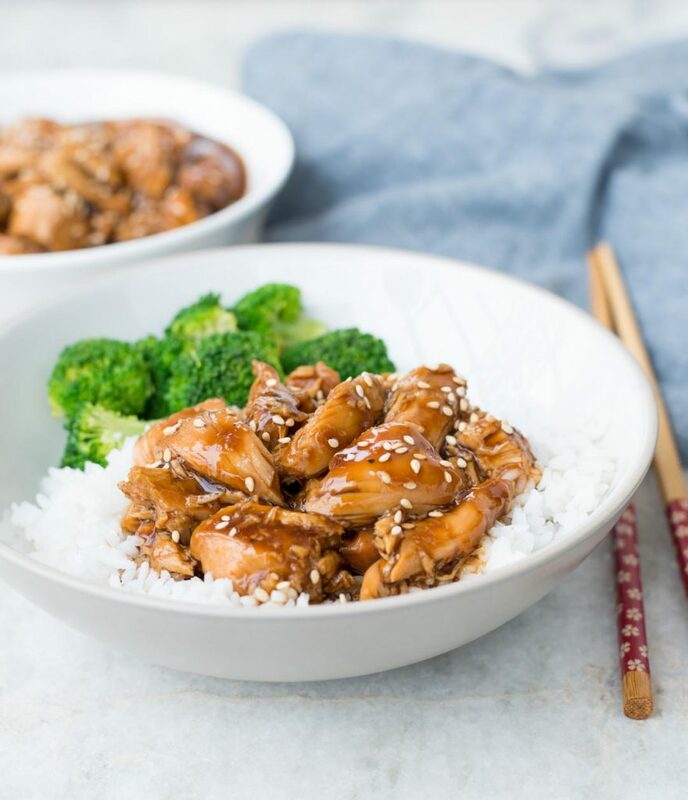 Instant Pot Thai peanut chicken will cause your taste buds to do a happy dance! Plus, it tastes like it was made in a restaurant instead of at home. Sun-dried tomatoes, creamy butter, milk, pasta, seasonings, cream cheese, parmesan cheese, and chicken thighs go together and create pressure cooker creamy chicken pasta. This dish goes nicely with garlic knots. If you need a tasty meal in a hurry, you will love this five minute Instant Pot southwest chicken. This recipe will be just the right amount of spice to your life. Take a look at this Instant Pot adobo chicken that is so versatile you can eat in tortillas, with rice or on nachos. 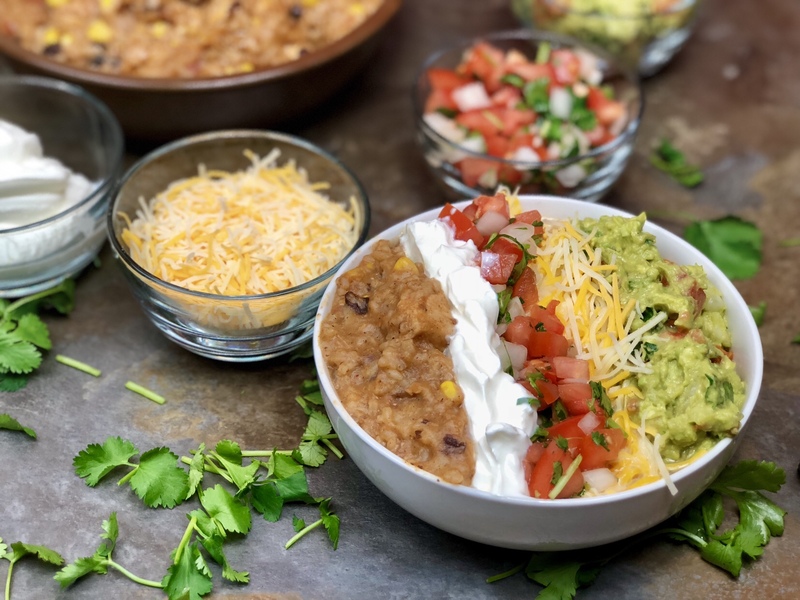 Instant Pot chicken burrito bowls taste heavenly, quick to make and you will be hooked on them! Busy weeknights just got more simple when you make this pineapple chicken in the slow cooker. You only need three ingredients. Serve on a bed of fluffy white rice. Frozen chicken breasts, barbecue sauce, onions, and pickles are all you need for these crockpot barbecue chicken sandwiches. Serve with french fries or potato chips. Slow cooked safed chicken korma is a perfect dish to make it your slow cooker; The result is a rich, creamy chicken recipe that is delightfully flavorful. Cooking chicken spaghetti in the slow cooker is life changing! This meal will be gobbled up as soon as you put it on a plate! Slow cooker chicken shawarma gives a stunning presentation and is remarkably healthy. Don’t plan on any leftovers because you won’t have a morsel left. This tangy Crockpot ranch chicken served on a bed of cooked broccoli will become a new household favorite. I love the presentation of this meal too. You are sure to save time cooking when you make this slow cooker chicken with hoisin sauce. I recommend eating with some white rice and egg rolls. Slow cooker shredded caesar chicken tastes great served on a leaf of lettuce, bread or with crackers. No matter how you eat it, it will taste terrific. Serve up a hearty bowl of chicken tortilla soup. This is the perfect slow cooker recipe that is easy to make and you can come home to a hearty and wholesome weeknight meal. 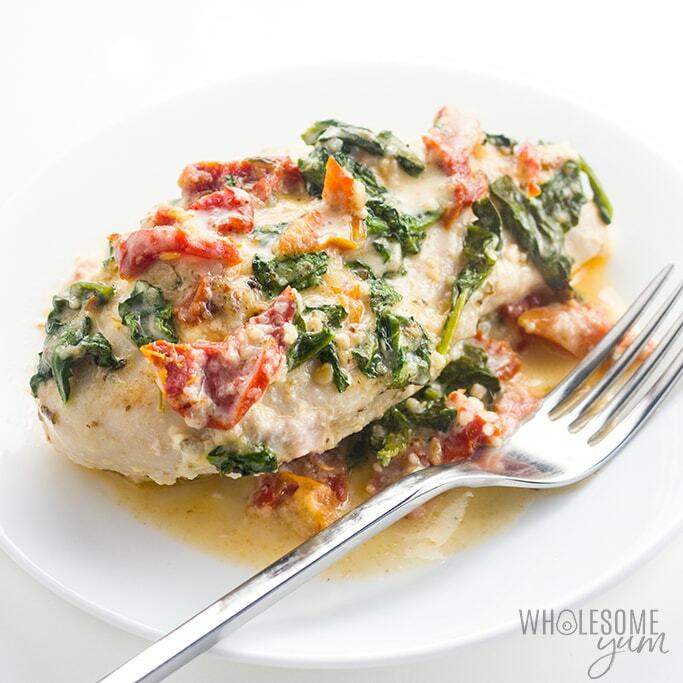 Have a look at this slow cooker creamy Tuscan garlic chicken because you will feel like a piece of Italy is right in your home! If you are trying to watch the number of carbs you eat, you should take a look at this low carb chicken broccoli casserole. This dish is low maintenance, so it is perfect when you don’t have a ton of time to cook. The crunchy topping on this cheesy, crumb-topped supreme chicken casserole is legendary! This casserole is packed with protein and has a light buttery flavor. The best thing about casseroles is you can set them and forget them! This Swiss cheese chicken stuffing casserole has loads of flavor and is effortless. Salsa verde slow cooker chicken only takes five simple ingredients, and the result is scrumptious. Serve on a pile of tortilla chips, and you will be in heaven! Your family is going to devour every bite of this chicken bacon ranch casserole almost as fast as you can tell them it is time to eat! 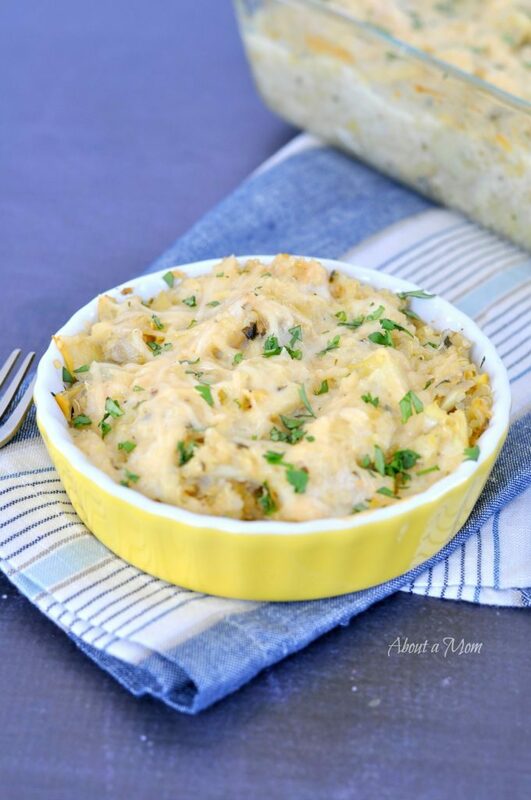 Chicken artichoke quinoa casserole will quickly become one of your new favorite recipes. Juicy chicken, quinoa, swiss cheese, and parmesan cheese are scrumptious. Take a peek at this mozzarella mushroom pepper chicken bake for a quick evening meal. It is full of delicious vegetables and topped with melty cheese. Delightful jalapeno popper chicken casserole has lots of yummy ingredients and keeps you full. Serve with fresh bread and a side salad. Chicken cobbler is a unique spin on classic chicken pot pie. Make this recipe if you are looking for some savory comfort food. Everyone should have a go-to chicken and veggie fajita recipe that has the perfect amount of Mexican spices and seasonings. I recommend serving with a giant margarita! Classic comfort food is my favorite thing to eat when I have the winter blues. This chicken and dumplings recipe takes me right back to my childhood. French onion chicken is delightful chicken breast with onions, butter, seasonings and three different kinds of cheese. This dish is so good! 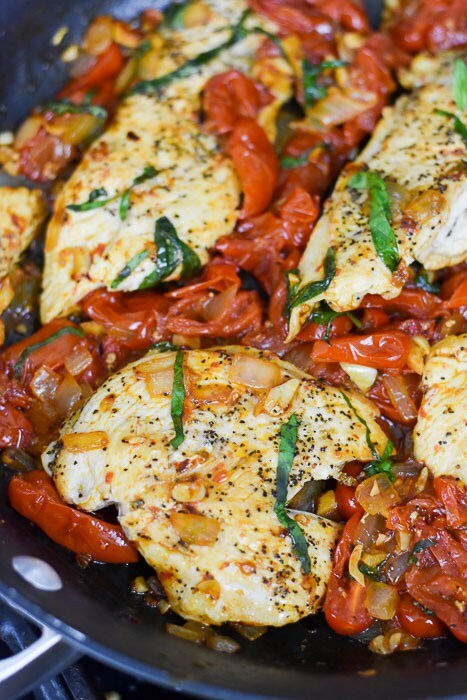 All you need is 30 minutes and a few simple ingredients to make tomato basil chicken. This is great with some pasta noodles and garlic bread. Serve this rich and creamy chicken alfredo egg noodles with garlic toast and a vegetable salad, and your happy stomach will thank you. Sometimes you need some fried Caesar chicken in your life! Juicy boneless chicken is terrific picnic food! Add some potato salad or french fries, and you have a fun meal. Traditionally, people use ground beef when they make chili, but this hearty chili calls for chicken instead. I love the texture and taste of the chicken in this soup! Tom Kha Gai or otherwise known as Thai coconut chicken soup is packed full of vegetables and has a creaminess that is delicious. Chicken meatballs zoodles is a healthy chicken dinner idea that is low carb is packed full of protein. Even your children will love the zoodles. If you want some out of this world dinner, try this parmesan crusted chicken. I promise you it will be love at first bite! Looking for something unique to serve your dinner guests? Sticky Moroccan chicken with herby couscous is a beautiful dish and is full of healthy vegetables. Lemon chicken piccata is a zesty flavor explosion with each tantalizing bite. This dish is great for serving at a dinner party or to your family. You can throw this Caprese sheet pan chicken together in a snap! The taste of the drizzled balsamic vinegar is beyond delicious. Finding lots of time to make a good home cooked meal can be a challenge sometimes, that is why I enjoy this chicken pesto pasta that can be prepared in just 15 minutes! Spinach and goat cheese stuffed chicken breast is rich, creamy and just what you need for a low maintenance meal. Even your children will go crazy for this chicken. Chicken ramen noodles are so simple to make that you will be shocked by how easy it was to put together. I love how versatile the recipe is because you can add as many types of vegetables as you want. If you are short on time and you want a healthy meal, then chicken hummus naan wraps are a must try. 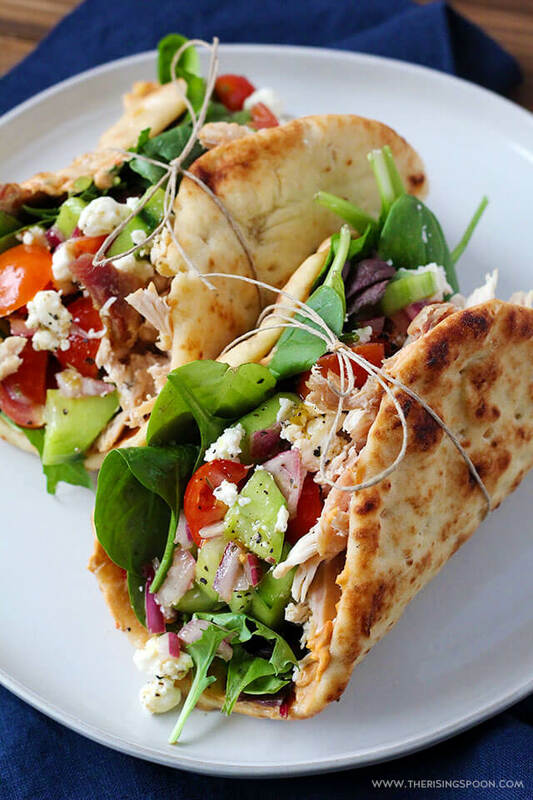 Fresh veggies, feta cheese, and chicken drizzled in olive oil and placed in a naan wrap. There is nothing I love more than barbecue chicken pizza! This pizza has lots of melted mozzarella cheese and is inspired by Thai flavors. You should give it a taste! Skillet chicken sausage with apples is packed full of fresh apples, chicken sausage, white wine, and apple cider vinegar. This dish is tangy and sweet. Flaky, rich and creamy crescent chicken bundles are lovely for a busy weeknight dinner when you are limited on time and don’t want to put in a lot of effort. Low carb Italian chicken cacciatore is healthy and enjoyable if you are trying to limit your carb intake. Serve with a garden side salad. 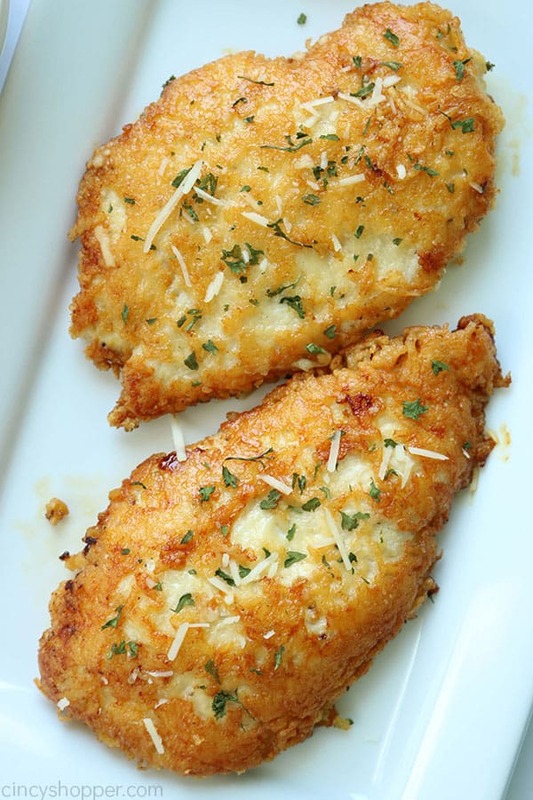 Parmesan crusted chicken is crispy, juicy and packed full of flavor. Don’t plan on having any leftovers with this dinner! You should try this easy Greek chicken if you are looking for a low-carb dinner that tastes fantastic! You will have a chicken dinner that is succulent, juicy and tender. One pan Thai chicken and rice bake can be made with a few simple ingredients you probably already have! You will want to make a double batch and have it for leftovers too. 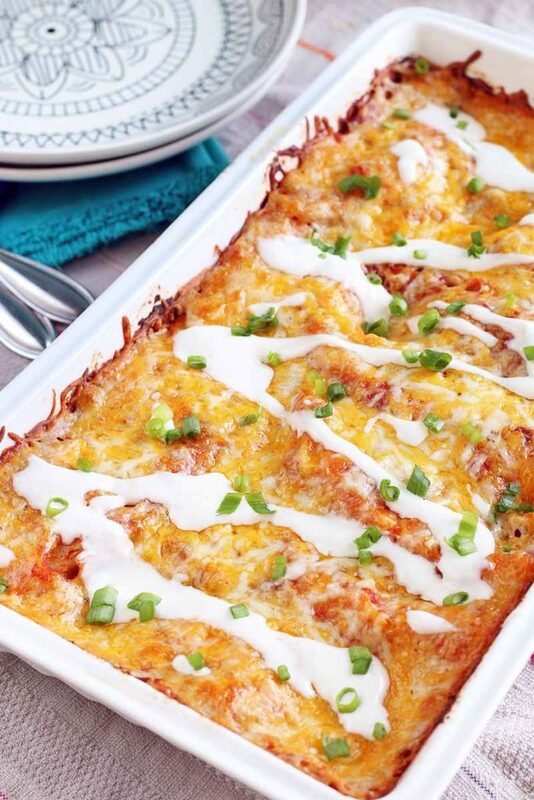 Tex-Mex inspired buffalo chicken enchiladas will turn your taco Tuesday into a uniquely fun meal! There is the perfect amount of spice and flavors in this dinner. You only need five ingredients to make this easy baked soy chicken! Once it is cooked, the sauce is almost like a caramelized soy topping that is out of this world! Latin shortcrust chicken pie is savory and terrific comfort food. This would be great for potlucks, funeral meals or a weeknight dinner! Once you taste BBQ chicken stuffed sweet potatoes, you will fall in love with all the amazing flavors. This crowd-pleasing dinner will keep everyone full! Sheet pan harissa chicken and potatoes only take ten minutes to prepare and forty minutes to bake. The ease of sheet pan meals is fantastic because they are low maintenance. 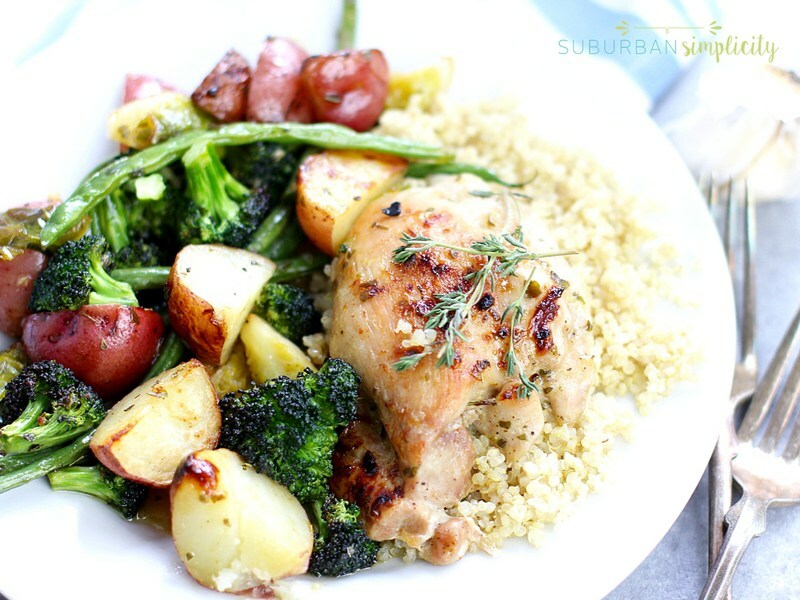 Succulent maple glazed oven baked chicken thighs and veggies is going to become a household favorite meal! The glaze is so good you will keep going back for more. Chicken thighs smothered in creamy tarragon with zesty lemon, white wine, tarragon, and shallots. Are you looking for a healthy dish for Taco Tuesday? If so, you should check out this healthy Mexican chicken bake. This recipe is so simple, and the flavors are amazing. Balsamic grilled chicken skewers are an excellent way to add healthy flavors to your diet. Serve with a light pasta salad or fresh fruit. You are missing out if you have never tried a cowboy chicken patty. It is ground chicken, diced jalapeno, shredded cheddar cheese, egg, and delicious bacon grilled and served on a bun! I never heard of pairing blackberries with chicken until this mouth-watering chicken kabobs with blackberry barbecue sauce recipes. 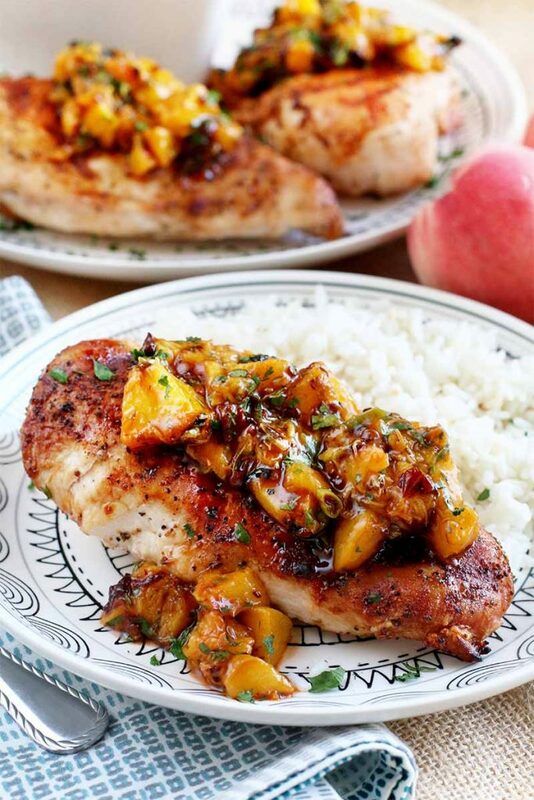 If you want a recipe to taste like you are a chef in a fancy restaurant, you should try this sweet and smoky grilled chicken with peach chipotle sauce. Grilled chicken Cesar salad with garlic is elegant and palette pleasing. Perfect for parties and barbecues. Don’t worry you won’t get tipsy when you taste this grilled lime tequila chicken breasts but you will enjoy this succulent meal. Serve with a berry salad. Summer salads are also good for a quick meal when you have lots going on. This berry chicken salad has grilled chicken and is absolutely stunning! If you want a light and fresh summer dinner this sweet and smoky Coca-Cola chicken is delectable. I would make some corn on the cob and serve with fresh vegetable. 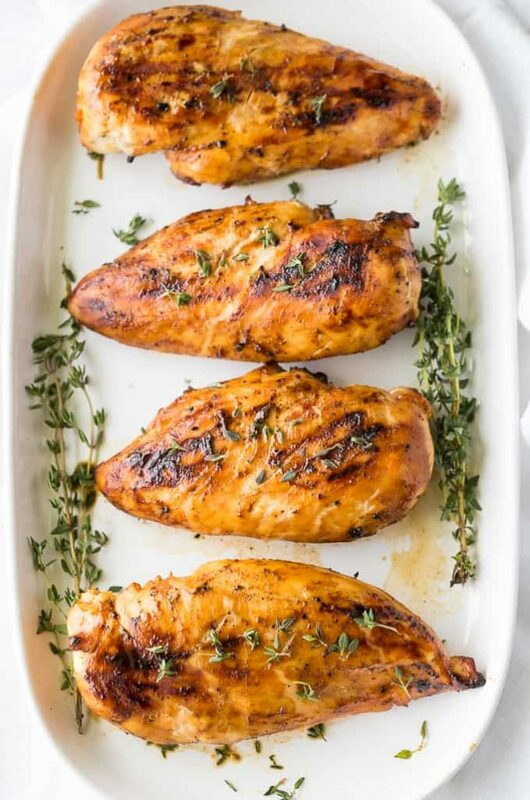 You are going to be shocked by simple this maple dijon grilled chicken is to cook. You only need six easy ingredients and a grill, and you will be all set. Grilled chicken bruschetta topped with homemade pico de gallo is so juicy, full of flavor and heavenly. This is an excellent dish for a crowd too. If you want to load your freezer with tasty food, you should check out this chicken tater tot casserole. A fantastic dish to give someone who just had a baby or something for a potluck dinner. Chicken Milanese has a delicious breading with panko bread crumbs, parmesan cheese, flour, and eggs. It is crispy, and you can make it ahead of time and freeze it. After you sink your teeth into this chicken spaghetti, your taste buds are going to be in heaven! It has fresh mushrooms, bell peppers, chicken and onions while covered in melted cheese. This easy apricot chicken only takes five ingredients and is a terrific mix of sweet and spicy. Serve with rice and a side salad! You will thank yourself later if you make a freezer full of this chicken salsa verde tamales. These tamales are finger licking good! 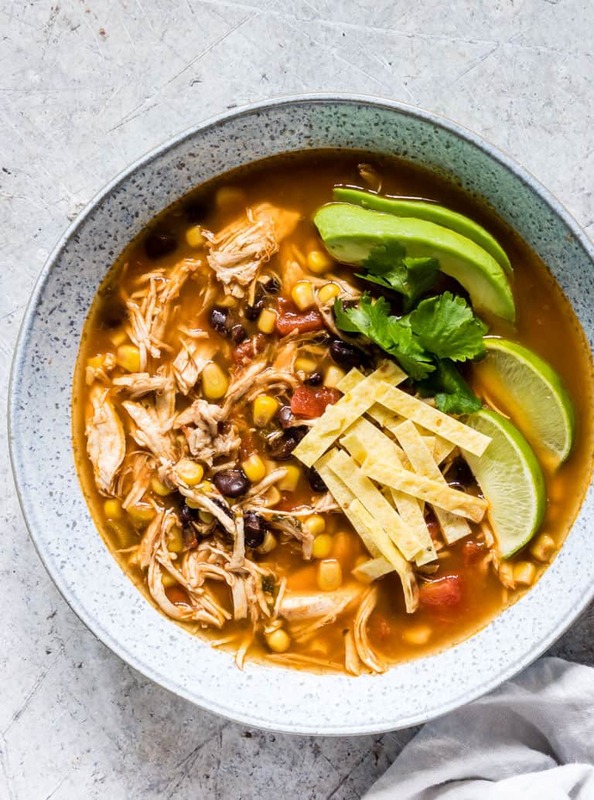 You can store this instant pot chicken tortilla soup in the freezer up to three months! You can enjoy this soup for a quick lunch or busy night when you need a quick dinner. This chicken fried rice recipe is made with the intention of cooking it once, eating half and freezing the other half. 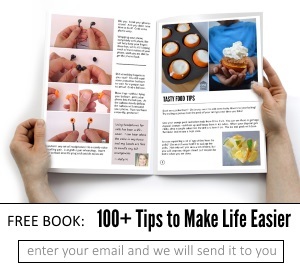 You will love how you can make this in a snap! Making freezer meals in your Instant Pot is next level amazing! These sweet & spicy Asian chicken burrito bowls are made in the Instant Pot, and you can freeze and eat later. Chicken enchiladas freezer meal is terrific to have around so you can quickly grab it and toss it in the oven when you want a home cooked meal. These Air Fryer chicken strips are gluten-free, and you wouldn’t even know it when you take the first bite. Juicy chicken strips that are lightly coated with a crispy crust are tasty. Your guests won’t be able to get enough of these Air Fryer chicken taquitos. You can dip them in nacho cheese, sour cream, salsa or pico de gallo. 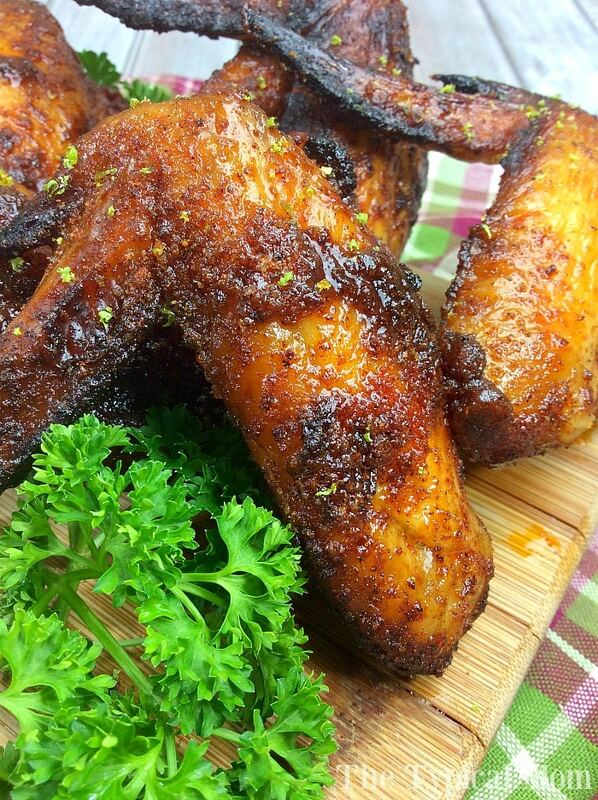 A little sweet and a little spicy these Air Fryer chicken wings are legendary! You will be licking your fingers and won’t be able to get enough. Air Fryer chicken fajita rollups can be cooked in only twelve minutes and are easy to put together. The aroma of these rollups will make you salivate! If you are on weight watchers, then this Air Fryer Weight Watchers roasted chicken is going to be your new favorite recipe. Keto buffalo chicken wings will rock your world with the tangy sauce and succulent chicken, therefore, they will get eaten up right away! Wild rice, boneless chicken breasts, feta cheese, and greek salad dressing are all the ingredients you need to make this Air Fryer Greek stuffed chicken breast. Crispy chicken & avocado cobb salad is terrific when you want a light dinner idea. The flavors are yummy, and even your children will love it! Healthy stuffed chicken breast is sure to make your mouth water when you see it finished. It has a crispy exterior and yummy fillings in the center. This easy tandoori chicken recipe is full of amazing seasonings, chicken breasts, creamy coconut milk, tomato sauce, spinach, and cooked brown rice. If you have never heard of chicken Manchurian then you have missed out! It has a sauce that is made of ketchup and soy sauce that will leave you begging for more. Chicken mango tacos are filled with a beautiful array of chicken, mango, avocado, cheese, onion and lime juice in addition to a few other ingredients. Save on washing dishes with this sheet pan pineapple spiced chicken because you can place everything on one pan and bake. It doesn’t get any easier than this! Lemon garlic chicken dump recipe is so quick to make and you can put it in your freezer and eat it later. The zesty flavors are fabulous. Cooking with things you have around the house is fun, especially when you make this potato chip chicken. The chicken is tender, juicy and crispy. 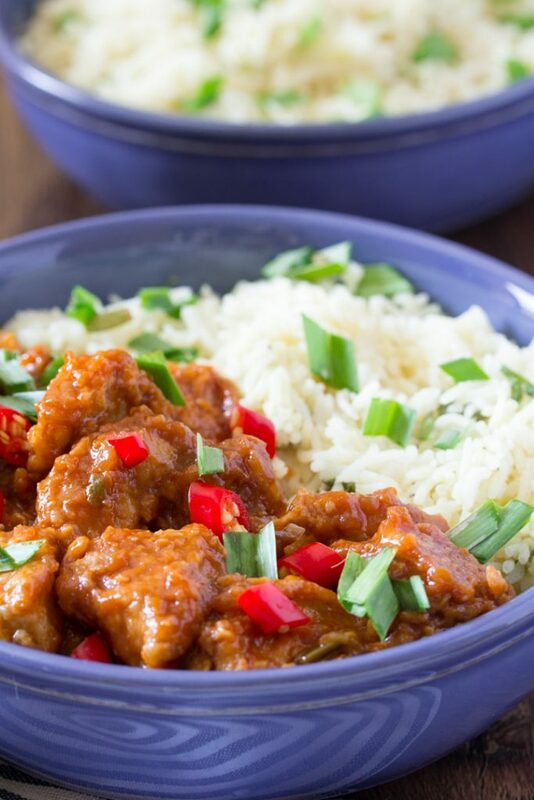 Family-friendly sweet and sour chicken is gluten-free and so flavorful that each bite will be devoured. Tender chicken breasts, soup, mixed vegetables, chicken broth and rice topped with crispy onions make up this chicken and vegetable casserole. 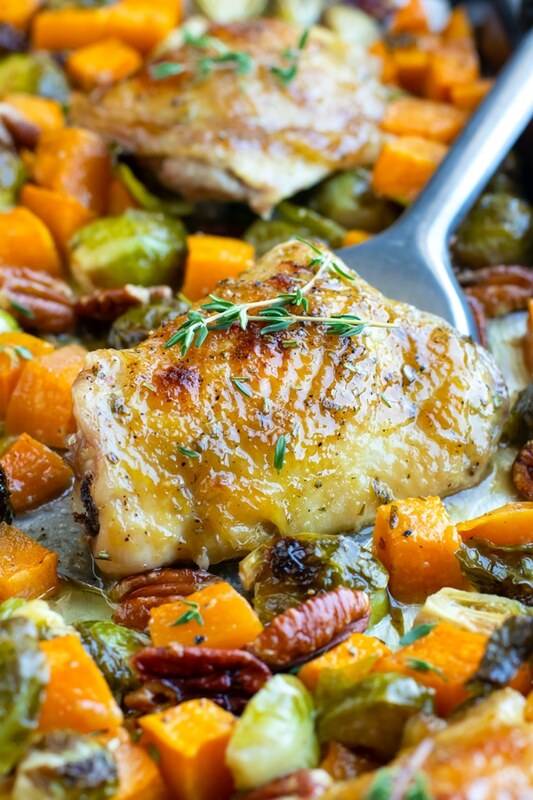 One pan honey garlic chicken and vegetables has everything you need for an amazing dinner that doesn’t take much effort. If you eat a Keto diet you should try this southwestern deconstructed chicken keto soup bowl. This low carb soup will keep you full and tastes delightful. For your next dinner party serve Monterey chicken recipe and you will wow your guests. Add a fresh garden salad and dinner rolls. What is your favorite chicken dish?